YOU can't go far in England without coming across some link with slavery: much of the country's early wealth came from the trade. Even Queen Elizabeth I and King Charles II both played major roles, Barclays Bank was founded by families whose fortunes came from slavery, and The National Gallery in London was started with a collection of paintings donated by John Julius Angerstein, whose money also came from the slave trade. And one of the governors of the Bank of England owned slave ships, while entrepreneurs Walter Raleigh and Francis Drake both made a quid out of trading in slaves – and ended up with knighthoods. One of the earliest in the business was Sir John Hawkins, who ultimately became Treasurer of the Royal Navy. In 1562 he captured 300 slaves in Portuguese Guinea, took them to the Caribbean, and with the profits sailed off with three ships laden with goodies to flog in England. When she heard about the slaves Queen Elizabeth berated him, saying "It is detestable and it will call down vengeance from heaven upon you." But when he told her that in exchange for the slaves, he had a cargo of sugar, ginger, hides and pearls, she had a quick change of heart. And became his business partner. By Hawkins' third trip to Africa in 1567, the Queen had loaned him two government ships with which he captured almost 500 slaves. And King Charles II was a major shareholder in the Royal African Company, which shipped 70,000 African slaves to the West Indies between 1680 and 1688. Only 46,000 made it alive to the islands, but profits were still huge. Next time you're visiting England, head north from London and in Olney in Buckinghamshire you'll find an original link with the slave trade – and hear at least one good story to come out of the whole horrid business. 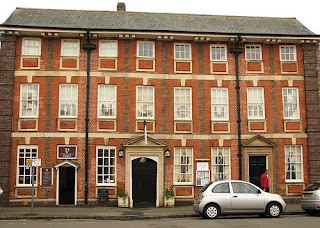 Olney is a pleasant little town of about 6000, and its weekly markets are a major tourist drawcard. But its best known for an 18th century resident, the Rev John Newton. He was a former slave trader and born-again Christian who in his "new life" wrote one of the world's best-loved hymns – Amazing Grace. He says he was inspired by his conversion and realisation of his despicable career. 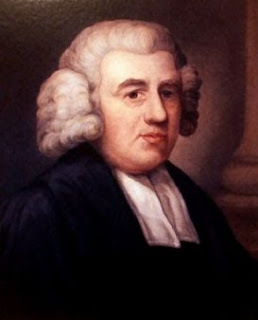 John Newton was born in London in 1725, went to sea at age 11, and ended up as master of a ship taking slaves from Africa to the Caribbean. But in 1748 he almost perished during a massive storm. So convinced was he that his ship was going to sink that he turned to God, mumbling prayers he'd learned as a child: miraculously the storm subsided and his ship made it safely back to England. However he remained a slave trader for some years, but at least treated his human cargoes with more compassion than did others. And when he finally turned his back on seafaring and his conversion was completed he was given the post of curate at the Church of St Peter and St Paul in Olney. There he composed hymns for his weekly sermon, often helped by his neighbour, the melancholic poet William Cowper. A book of 282 hymns by Newton and 66 by Cowper is still considered one of the greatest hymn books of all time. The music is said to have been copied from the melody of a song sung by slaves on Newton's ships – but this is probably urban myth – and Newton is said to have inspired his friend and MP, William Wilberforce to successfully lobby for the abolition of slavery. Newtown's home town is today the home of the world's best known pancake race that draws contestants from around the world every Shrove Tuesday. 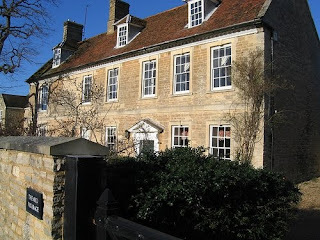 But most tourists to visit Olney to see the room in the Old Vicarage where he wrote Amazing Grace, and the next-door former home of his poet friend, and which is now the Cowper and Newton Museum.